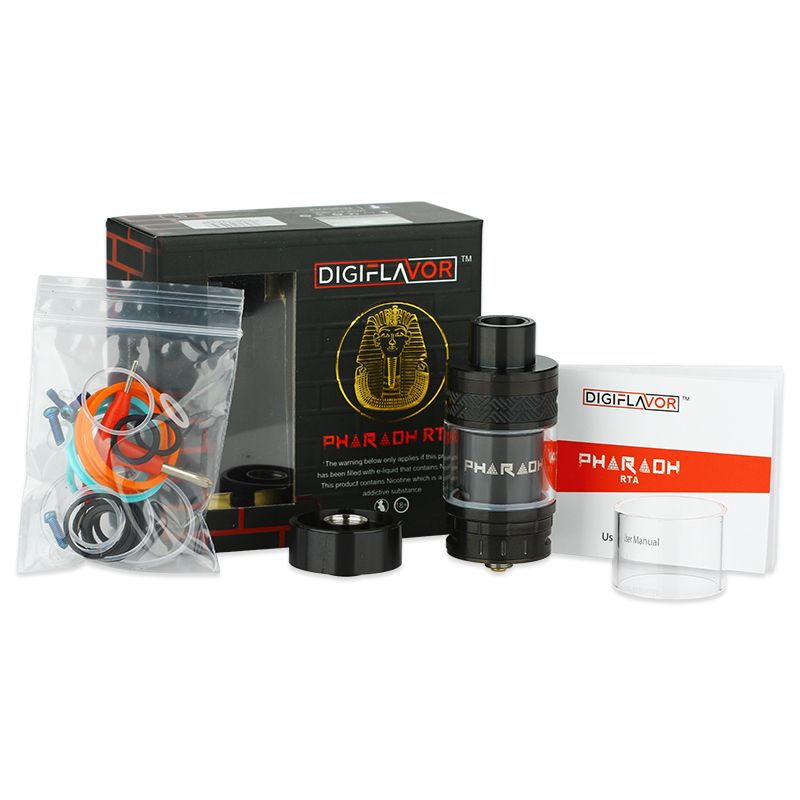 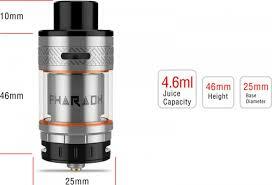 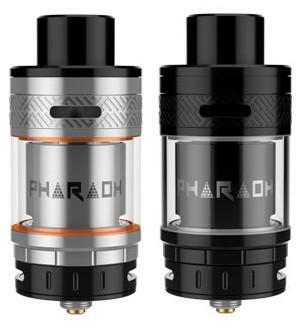 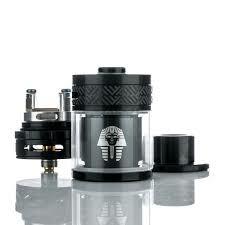 The Pharaoh RTA features one of the most dynamic airflow systems available today, with two independently adjustable airflow systems located at the top and at the bottom of the chassis. Each system can be adjusted and used in tandem or run independently from one another depending on user preference. 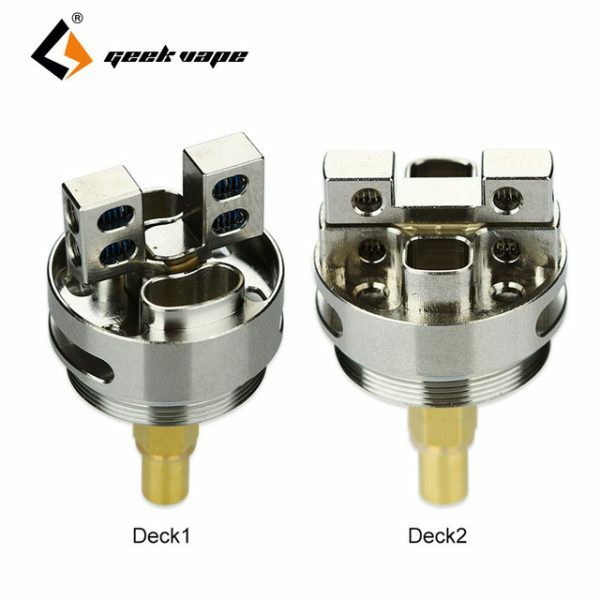 The top airflow system features dual 2mm diameter airholes that lead directly down into the build chamber, providing smooth and direct airflow. 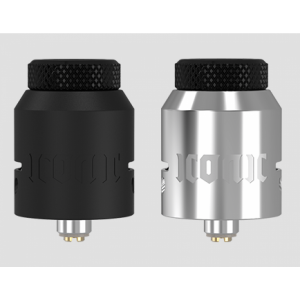 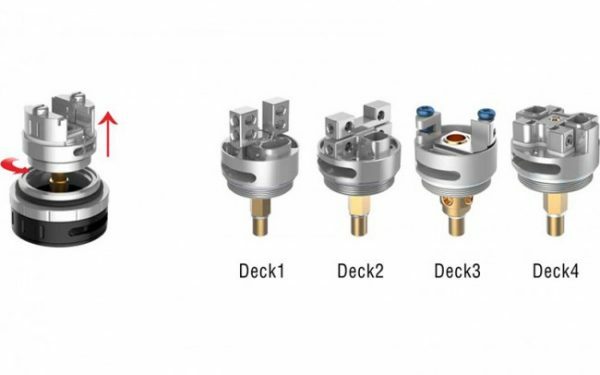 The bottom airflow system features dual 15mm by 2mm airslots that utilizes a click to set system with five different airflow settings ranging from fully open to fully closed. 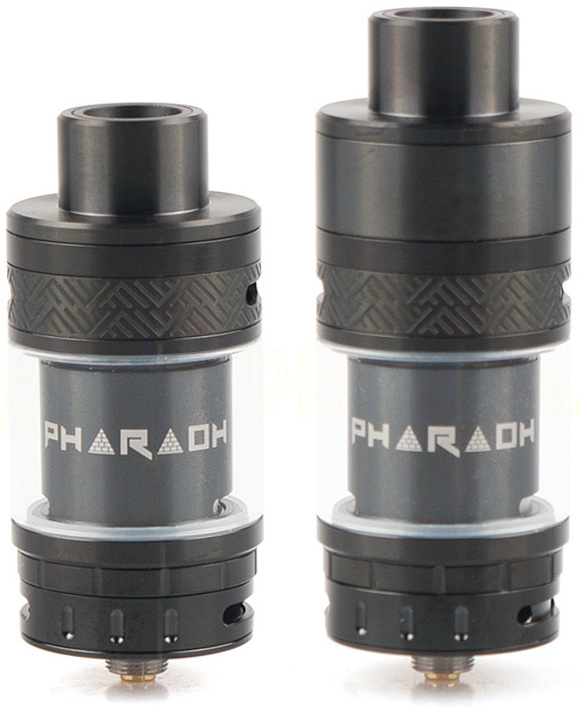 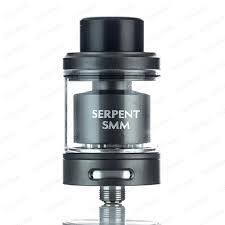 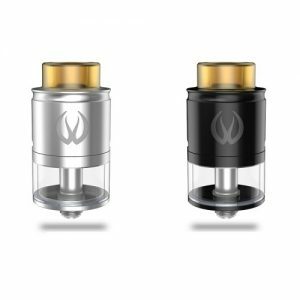 Offering one of the best and most complete systems presented, the RiP Trippers Pharaoh RTA enters the market as the most feature packed RTA available today.